As a society, we are shifting from a left-brain, linear thinking world to a right-brain society driven by design and innovation. Creative and innovative thinking are valued as skills in the workplace. Creativity also provides an important and necessary outlet for gifted children. What can parents do to make the development of creativity a natural part of family life? Join us and learn ways to have fun as a family while becoming better creative and innovative thinkers. 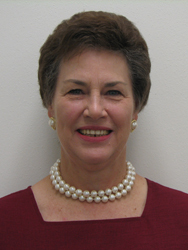 Joyce Juntune is a Lecturer in the Department of Educational Psychology at Texas A&M University. She teaches graduate level courses in gifted education and undergraduate courses in creativity. She spent several years as a public school teacher in Minnesota and California. Dr. Juntune was one of the developers of Project REACH – a staff development program for integrating creative thinking into content area classrooms, and served as its Director for 5 years. She was the Executive Director of the National Association for Gifted Children for ten years and the Executive Director of the American Creativity Association for six years. She has traveled extensively across the United States and Canada providing training to thousands of teachers in over 500 school districts in the areas of creative thinking, instructional improvement, differentiated curriculum, creative problem solving, and gifted education. She has also provided training in creative thinking and problem solving to law firms, hospital and health care professionals, corporate managers, small business owners and mangers, and members of the transportation industry. Dr. Juntune has been a keynote speaker at state and national conferences and a guest on several radio and television shows. She has written numerous books for educators on using creative thinking as a tool for building comprehension. And I loved what she said about choosing a degree – just get one! Less than 50% of the population are even in their field of study after they receive their degree. I didn’t ask her if she felt the same way about “where” that degree came from…but I have feeling that is also a little less important once you begin working – especially if you have strong creative thinking skills! SCAMPER!